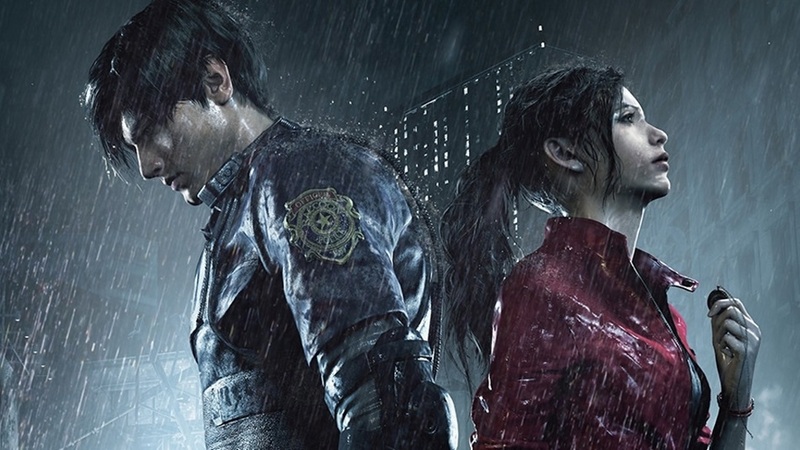 *Note: This article assumes the reader’s familiarity with both the original Resident Evil 2 and the 2019 remake, and thus includes minor spoilers. So that Resident Evil 2 remake is damn good stuff, huh? Maybe that would come as a bit more of a surprise if RE7 hadn’t demonstrated that, after generations of experimentation, Capcom finally remembers what made this series great to begin with. Nevertheless, the updated RE2 is a near-perfect cross-section of old and new. It’s fluid, precise and gorgeous, but also confidently boasts the small scale that Resident Evil abandoned after this very entry. Most of the game is set in and around one (very iconic) building, and the claustrophobia is real – the more we try to claw our way out, the deeper into hell we fall. 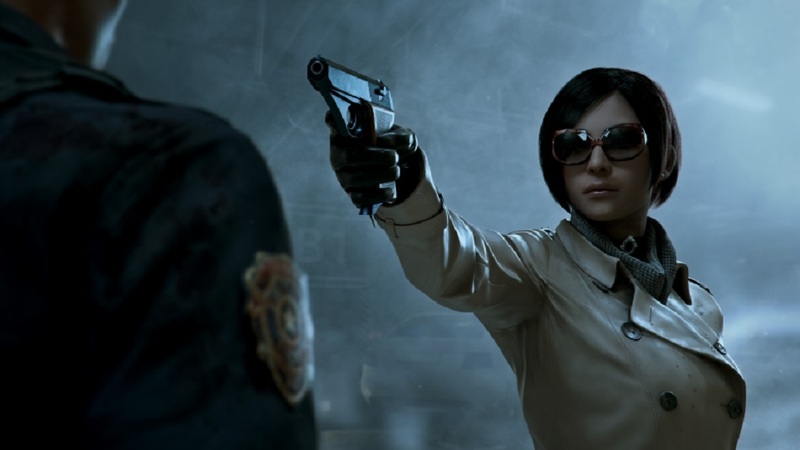 The remake of RE1 famously consisted of roughly 70% new content, and while that doesn’t quite seem to be the case with the new RE2 – the layout is mostly identical, and all of the major plot beats still happen in the same order – Capcom has rearranged enough of the familiar material that even those who have played through the original numerous times, as I have, will be on edge. I trust at this point that I don’t need to explain why RE2 is a classic, nor do I need to detail how the remake preserves its legacy – the rest of the internet has you covered at the moment. Instead, I want to focus on one small but crucial way that the new RE2 misses its potential. The original RE2 featured what was rather eye-rollingly referred to as the “zapping” system, wherein the campaign’s full story was gleaned through two back-to-back playthroughs. You could choose to play as either Leon or Claire, and each would offer a slightly different perspective on the same general events. When you finished the game with one character, you had the option to start “Scenario B,” a slightly abbreviated version of the same campaign depicting what the other protagonist was doing during all of this. 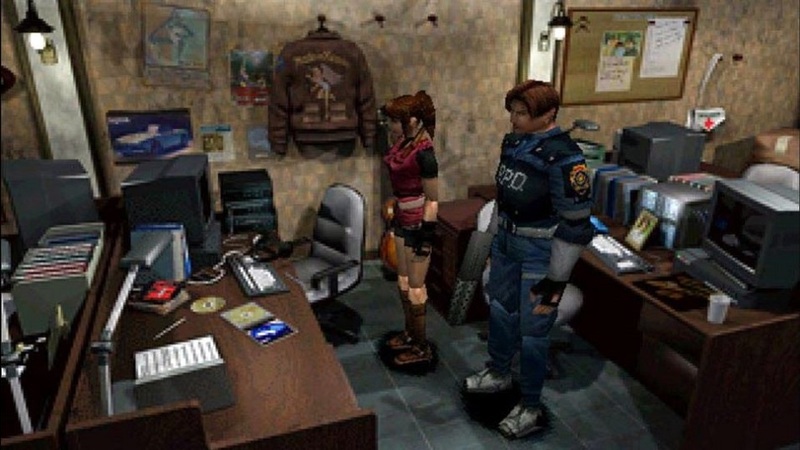 Although Scenario B had you repeating many of the same puzzles and encounters, there were enough new beats to keep things relatively fresh, and the shared continuity between the two playthroughs manifested in surprising ways – say, if Leon doesn’t pick up the machine gun, it’ll still be around for Claire to retrieve. 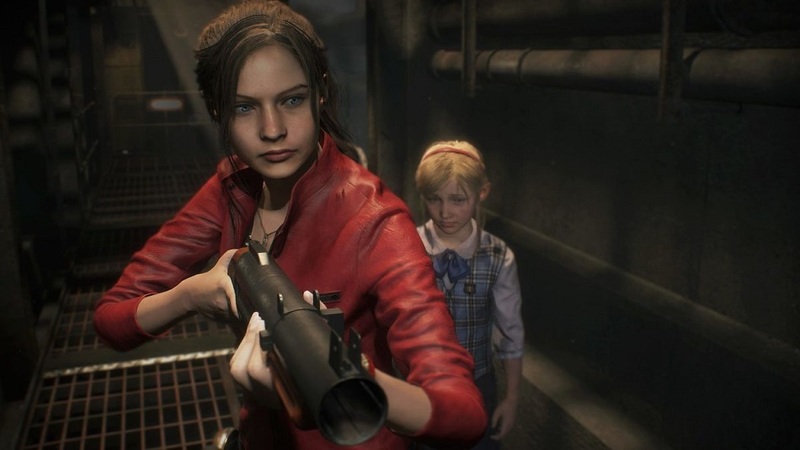 On the surface, the remake offers the same feature – Claire and Leon are both playable, and you’ll still need to complete what’s now called a “2nd Run” in order to see the entirety of the story. Each campaign has a unique subplot, and the revisit is considerably shorter, mainly since getting out of the police station is a much simpler affair the second time. But the replay still felt a bit more arduous to me than it ever did in the original, and there are a couple of reasons for that. Firstly, to be fair, the zapping system was just an inherently strongly sell to me when there were fewer games to play. There are games from my childhood that I haven’t touched for 15 or 20 years that I still remember more vividly than stuff I played months ago. With more time, less money, and a smaller overall market, we had to get the most out of what we owned in the days of the original RE2. So part of my indifference to the remake’s 2nd Run system is a bias in how I consume games now versus two decades ago. I’m not looking for excuses to replay games. If anything, I’m looking for excuses to put them down. But I can’t fault RE2 for giving committed players a bit of extra value. Even without the double campaign, we still get multiple difficulties, letter grading, an in-game achievement system used to unlock costumes and bonus weapons, and some additional modes in which you use limited resources to escape the station as either the last surviving soldier or a block of tofu. There’s a lot here, enough to keep diehards occupied for ages while still sticking to what should have been a lean base game. I imagine Capcom feared that a lot of modern gamers are like me, content to play through a game once and shelve it for good after the credits have rolled. That’s probably why, this time, they’ve refused to tuck some of the game’s best material into a return visit that many newbies likely won’t be aware of. The idea of Leon’s and Claire’s stories syncing up was never going to be airtight. Realistically, in Scenario B, all of the doors would be unlocked, all of the puzzles would be solved, and most of the enemies would be the permanent kind of dead. (Not all of them, of course – in the original RE2, you literally didn’t have the means to kill every single enemy in the game.) So you already have to suspend your disbelief a bit. But in the remake, Capcom seems to have altogether abandoned the idea of these two stories even unfolding in the same timeline. Every major threat that the first protagonist deals with returns for round two. Entire rooms get demolished only to be meticulously pieced back together in time for the second character’s arrival. Leon and Claire almost never run into each other, despite following almost identical routes and often witnessing the same events from the same angles. So what are the differences? Well, as with last time, each of them has a midpoint tangent involving a supporting character – Leon teams up with Ada and we get some setup for the broader lore, while Claire helps a girl named Sherry whose parents shed some light on how this disaster happened. That’s the bulk of it. They also have unique sets of weapons, and each has a different final boss. That’s about it. Disregarding obvious differences in dialog, the two campaigns are at least 90% identical. Originally, the biggest incentive for playing through Scenario B came with a name: Mr. X. While Nemesis often gets credit as the progenitor for “stalker” enemies in horror games – nigh-unkillable menaces that routinely hunt the player, an idea perfected with the xenomorph in Alien: Isolation – Mr. X actually arrived one game earlier, hidden away as an extra goodie for anyone who braved Scenario B. Having just completed the game, you think you’ve got the pattern of things, and then every so often, the towering Tyrant smashes onto the scene and turns whatever you were doing into tense chase sequence. It was a genius way of making a familiar environment foreboding again. Mr. X is currently the talk of the gaming community, and rightly so, as his upgrade in the RE2 remake is spectacular. In their original incarnations, encounters with Mr. X and Nemesis were heavily scripted affairs. You were meant to feel like you were constantly being hunted when the games were very much in control of when that happened. In the remake, the restraints are off, and Mr. X is a persistent threat. Once he enters the picture, he systematically and unrelentingly wanders the station looking for you. You can hear his lumbering footsteps even when he’s in another room. And he can hear you, and will make a beeline for your last known location whenever he does. Since he can’t be killed, the only response to seeing him is to turn around and run the other way. It’s sustained horror, made all the creepier by his stiff expression, uh, interesting choice of headwear, and total voicelessness, resisting the urge to bellow “STARS!” like a dork every few moments. He’s pure, unavoidable death in a leather coat. He’s good. He’s really good. He’s so good, in fact, that Capcom didn’t have the stones to save him for the second playthrough this time. And that leaves the 2nd Run disappointingly bereft of surprises, which is irritating, because the game still ends in such a way where there are clearly pieces missing. If you play through the game with Leon, he achieves what he largely sets out to do. But how come we barely heard from Claire this whole time? Who’s this little girl she’s shuttling about? Where’s that one major villain that we never officially dealt with? And weren’t there parts of the station that we never found the key for? Those questions get answered, but only by chugging through a lot of the same material with only the slightest variations. This would have been a perfect time to introduce Mr. X. We spent the first playthrough fearing what was around every corner – even if we’d already played the original, because Capcom wisely shuffled the most memorable scares around. Once we know the layout, RE2 could have put our knowledge to the test with an unkillable enemy that can only be outmaneuvered by knowing detours. We kinda get that when Mr. X arrives in the first campaign, but by then, we’ve already almost finished our business in the station, and the game’s best feature gets less than an hour in the spotlight. I love the RE2 remake. It’ll likely be one of my favorite games of the year, and anyone with even the slightest interest in Resident Evil or survival horror in general owes it to themselves to check it out. But whereas the remake of RE1 was better on every conceivable level, leaving no reason to ever return to the vanilla game in given a choice between the two, RE2 actually does lose a couple of minor things in the conversion. Mainly the intricacy of the two-character mechanic, but also that fourth wall-breaking scare where you get attacked during a load animation. Post-script: I wrote this article a couple of weeks ago, originally for my blog. As of this republication, I’ve now completed the Resident Evil 2 remake seven times. So for all that I’ve criticized the game’s replay value, it demonstrably still has plenty. Indeed. I wonder how they’ll handle the RE 3 remake? That had a ton of different options and events in different orders not only depending on what choices you made, but on also how many times you’d already completed the game.